What: Fundraiser for the Yazoo County Chamber of Commerce’s Christmas Decorations campaign. WRISTBANDS WILL BE AVAILABLE TUESDAY NIGHT AT THE NO SMOKING SMOKEHOUSE ON MAIN STREET! Purchase a $15 V.I.P. Wristband from the Yazoo County Chamber of Commerce or the Yazoo County CVB (Visitors Center) and pick up a Game Piece for the drawings! 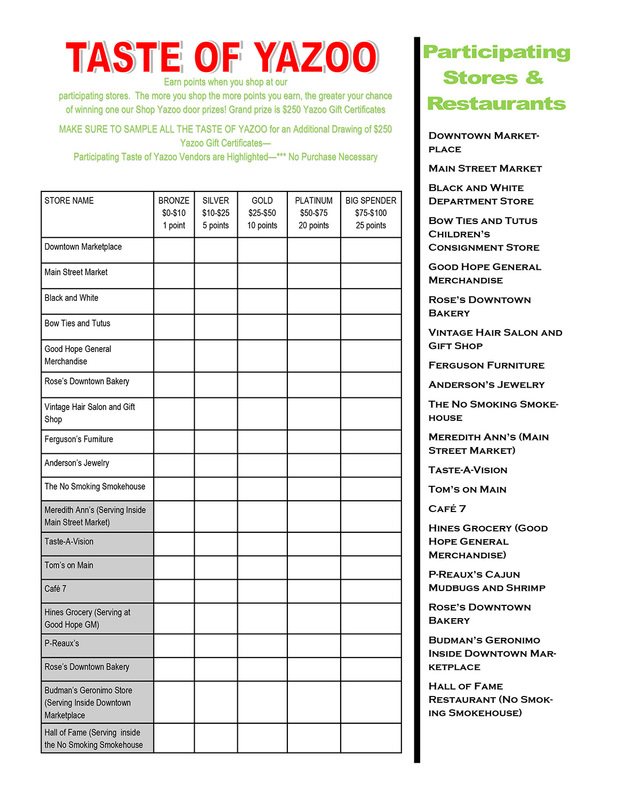 How to WIN: Sample the food from every participating restaurant on the list. BE SURE TO GET YOUR GAME PIECE SIGNED! Leave your game piece (with YOUR NAME ON IT) at the last place you stop so we can receive your entry. That’s it! 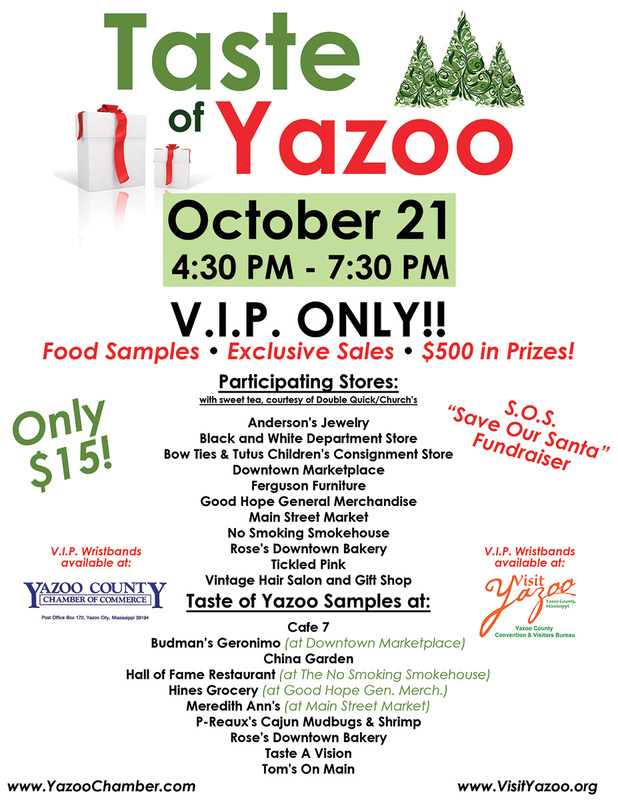 You’ve just supported the Yazoo community, ate GREAT Food, and hopefully taken advantage of the Exclusive VIP Sales going on during Taste of Yazoo! Download and PRINT the game piece below, or show your VIP Wristband to pick one up at a participating location!